Although their campaign has concluded, if you would still like to make a donation to support Kappa Delta Pi, you may always do so here. Throughout our 2 years on campus, we have completed over 1,000 hours of community service, donated 2,750 books to children in Pittsburgh, and raised $1,105 for The Education Partnership. In February 2017, for our signature service initiative, Literacy Alive!, we went to a local elementary school and taught a STEM lesson. This year, Kappa Delta Pi will be hosting our first ever 5k and 1 Mile Family Fun Run/Walk! Our goal is to raise enough money to fully fund the race, allowing us to donate 100% of the proceeds to an organization called A+ Schools, which is a local group of advocates pushing for equity in Pittsburgh Public Schools. Their core purpose and focus is to remove any barriers to equity in our schools. They are dedicated to educating the public, increasing awareness and engaging the community in efforts to advance change. We hope to raise enough money to fully fund our 5k race & 1 mile fun run/walk. 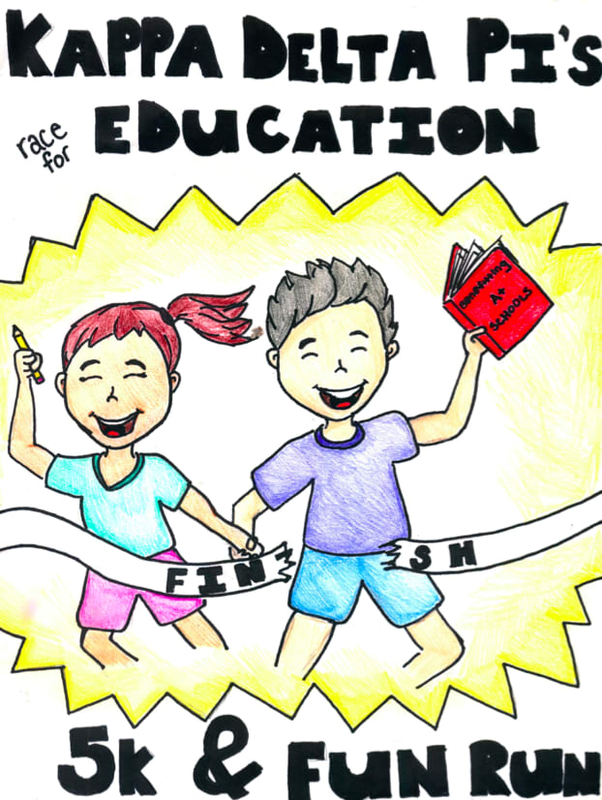 By hosting our 5k, we intend to not only raise money for A+ Schools, but to also bring the community together to raise awareness for equity in Pittsburgh Public Schools. 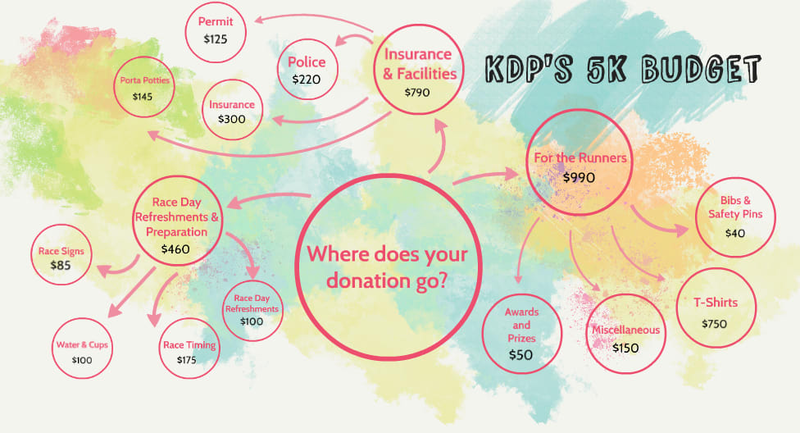 Our 5k will cost a total of approximately $2200 (see chart below for our budget breakdown) and we are hoping to reach a number close to this goal. Since it is our first ever 5k, we hope to spread the word so that we can not only receive donations, but also raise awareness and attendance for our event. We’ve all been one. Even if you’re not in the classroom anymore, never stop exploring new things. Learning is fun! Thanks for the contribution! May your coffee be strong and your lesson plans be stronger. Thanks for the donation you rock star, you. You have the ultimate job of learning everyone’s names. You’re basically a celebrity in the hallways. Don’t forget to wave at those cute kindergartners, and of course, donate to our 5k. With your donation, you can help us fund the police officer and EMT so we can keep our event safe! With your donation, we'll be able to provide all our runners with an awesome race day t-shirt!